Professionalism... I felt very secure with no doubts. The office and medical staff fit me in their schedule the day I called and told them I needed a root canal. When I arrived, the office staff was kind and knowledgeable. The assistant (Becca) took time to answer questions and even make conversation to help ease my mind. Dr. Steve Mohorn was caring and compassionate as if I was part of his family. There was minimal pain during the procedure which lasted only about 30 minutes. In fact, I did not even know when Dr Mohorn had inserted the needle to numb my gums. He wiggled my mouth while Becca tapped on my shoulder. This somehow completely distracted me! Although I hope to never need their services again, they will certainly be the practice I return to if necessary! The doctor and his assistant were excellent. She walked me through everything they were going to do. Dr. Matt was very nice as well. Great conversation. I was able to relax through the procedure. Very professional. I would highly recommend Dr. Hal Mohorn and Kristin. They were great and I would return and ask for them if I ever needed more dental work. The staff was very warm and helpful. From the time you walk in the door, everyone makes you feel at ease/comfortable. The entire staff (Receptionist-Check-In/Check-Out, Assisting Staff and Doctors) are all so friendly and kind. 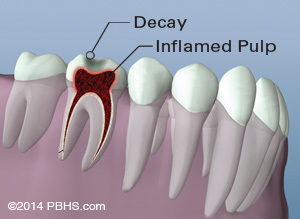 I would highly recommend Piedmont Endodontics! I think Dr. Malueg and her assistant were as gentle as could be and as efficient as anyone I have ever seen before. It was a long process and I asked for something to go under my neck and a towel was rolled to place under it that helped my arthritis pain in the neck. The dental assistant working with Dr. Morgan was an absolute "hoot". She was very assuring and accommodating. I certainly won't say that it was a pleasure, but I survived. Life is still good. Both Dr. Stanley and his assistant (Sherry) were extremely attentive and did everything possible to make sure that i was comfortable during the entire procedure. Dr. Stanley explained every step of the process, while efficiently and painlessly administering anesthetic and completing the root canal treatment. Both he and Sherry explained the post - procedure care / ibuprofen dosage to prevent any possible pain or discomfort in the next 2 days. I would give these great professionals an A+ ! Everyone at the office was friendly and professional and really seemed to love their job. Sherry and Dr. Stanley were kind, compassionate, and worked swiftly but thoroughly. They are truly both great at their job. Felt as though I’d know them for years. Thank you for great care. I would definitely choose Dr. Stanley again and would not want to see anyone else. (completely painless for me). Great experience to be a root canal. Everything was explained well throughout the whole process. Very pleasant experience from arrival until leaving. Couldn't have been better. I never submit reviews for anything but read them frequently. I had to have an emergency root canal and had looked at all the reviews prior to my visit about no pain, etc. I did not believe them because I have never been to a dentist and did not experience pain. IT IS TRUE! I did not experience any pain and it was the best dental experience I have ever had in my life and I have had veneers, caps, root canals and the works. Dr. Baird and Ashley were wonderful from beginning to end of the procedure and I was very numb and did not even feel pressure. I highly recommend this practice. I would love for the team to do general dentistry because I would not go anywhere else. Most people don't like to go to the dentist and DREAD those horrible words "You need a Root Canal". But when you have Doctors and staff that are so honestly concerned about your comfort and well being, it makes a world of difference. They don't want to cause or see you in pain any more than you want to BE in pain. They really do CARE how you are doing and want to do everything they can to make you better! Excellent staff! Excellent Doctors! Excellent Work! Dr. Stanley was so kind, gentle and informative throughout my entire first root canal experience. He talked me through the process before, during and after to ensure that I knew exactly what was going on and what to expect. The numbing shot on the roof of my mouth was the worst part and it barely even hurt because he applied a cold, dry ice solution (I think) to numb that area before the initial prick. He went a step above any previous dentist I've received numbing shots from and made this time as pain free as possible. This was my first root canal and from his awesome work and gentle approach to everything it's by far the best experience I've ever had with any dental work. I highly recommend Dr. Stanley and I will definitely be requesting Dr. Stanley for any procedures that may arise in the future! I am very pleased with my treatment at Piedmont Endodontics. From the time that I walked in, throughout the procedure, I knew exactly what was going on, the staff took great care of me. This really made an unpleasant item (having to get a root canal) a pleasant experience! thanks again! From stepping in the office, being seen by the assistant, the doctor, to checking out...the experience was great. 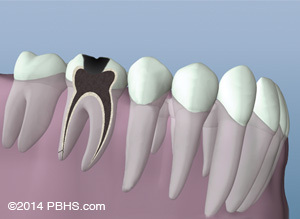 Everyone has an image or myth about having a root canal. This office reassured everything would be fine and they worked hard to make as comfortable as possible. 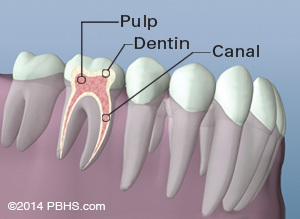 They put my mind at ease and dispelled all myths commonly associated with root canals. There was little to no pain while they did the procedure. Thank you Dr. Baird and Dawn for taking care of me today. 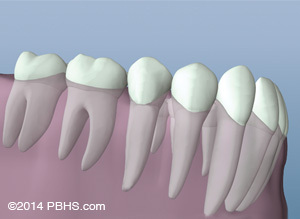 You were able to find the tooth that was bothering me and perform a root canal quickly and without any pain. I am grateful for your skill and expertise. The office was very inviting....ALL personnel was friendly and helpful. I would highly recommend this group to anyone...especially the endodontist, Dr. Malueg! 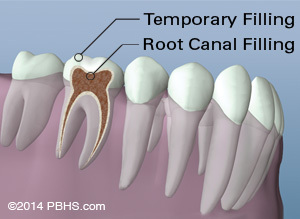 Having a root canal is not something anyone looks forward to, but the whole experience was seamless! This is the second root canal I’ve had, first with Piedmont Endo. I had a wonderful experience, and will return.